AB Vasilopoulos is among the top 12 European companies awarded during the Eurpean Business Awards 2016/2017, sponsored by RSM. The award ceremony was held on Thursday, May 4, in Dubrovnik, Croatia. The ceremony awarded the winners of 11 official award categories and the European Public Champion. AB Vasilopoulos won the “Business of the Year Award with Turnover of 150 million euros or higher” for showing excellent economic results, dynamic and innovative growth and remaining a leader in the sector. Athos Stylianou, CEO in RSM Greece congratulated AB Vasilopoulos for its award and noted this was proof of the company’s dynamic course and its growth orientation. 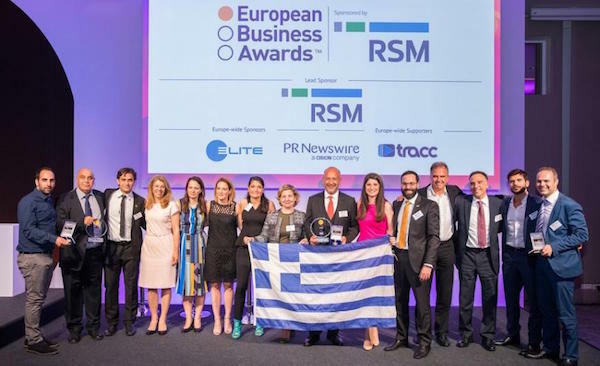 “We are proud that Greek enterprises excelled again in this significant contest and congratulate all six Greek enterprises that reached the final,” he said. From the total of 38 Greek companies that passed the first phase of the contest as National Champions, five participated in the final and won the Ruban d’ Honneur title: AB Vasilopoulos, Printec Group, Coffee Island, Upstream, Nice and Easy Farm-to-Table Restaurants.